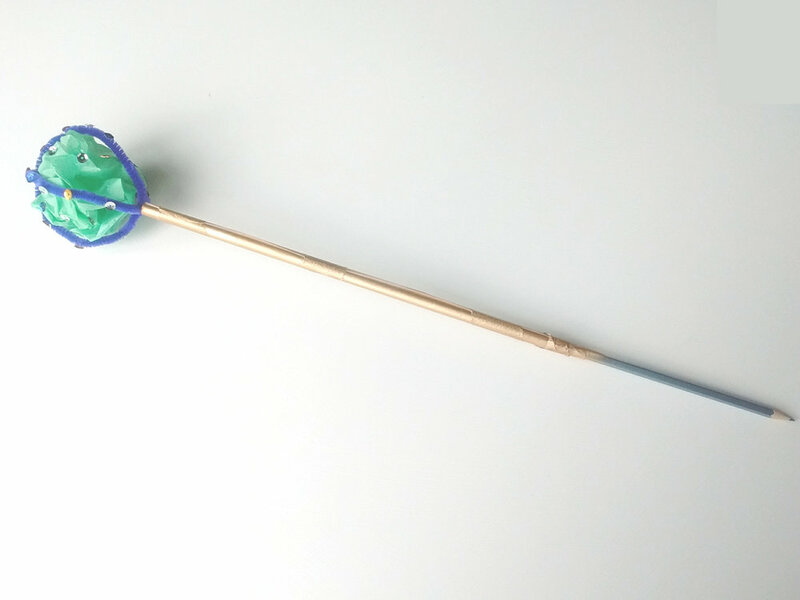 Follow the instructions to make an example ‘royal sceptre’ so the children can see what they are making. 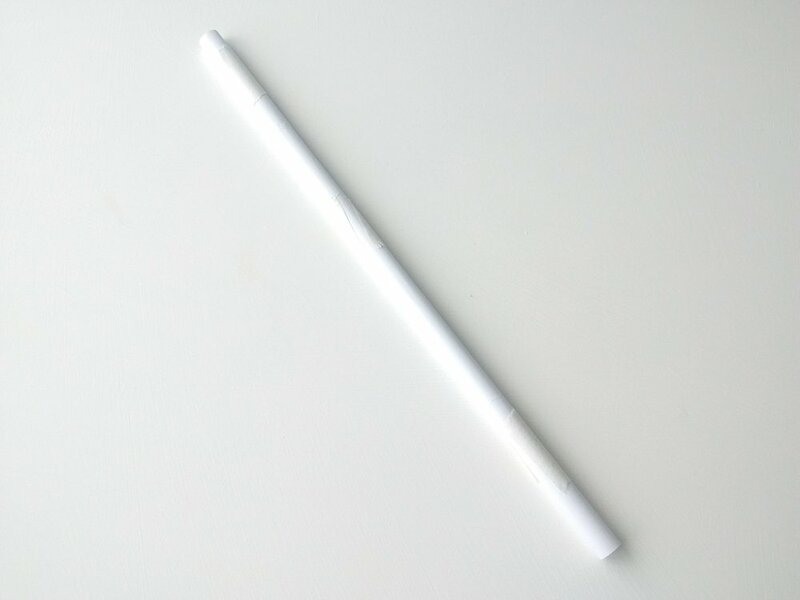 If you think it is necessary, roll the paper to make the ‘rods’ before the session. a. First roll the paper around a pencil then loosen the roll slightly so that the pencil drops out - don’t loosen it too much or the ‘rod’ will begin to unravel and become too wide. b. Practice rolling the rod until it is the right size. When you are happy with the width of the rod secure it with the pieces of masking tape you put to one side. Add a few more pieces of tape to secure the edges. 2. Tear off another piece of masking tape and again stick it somewhere accessible. 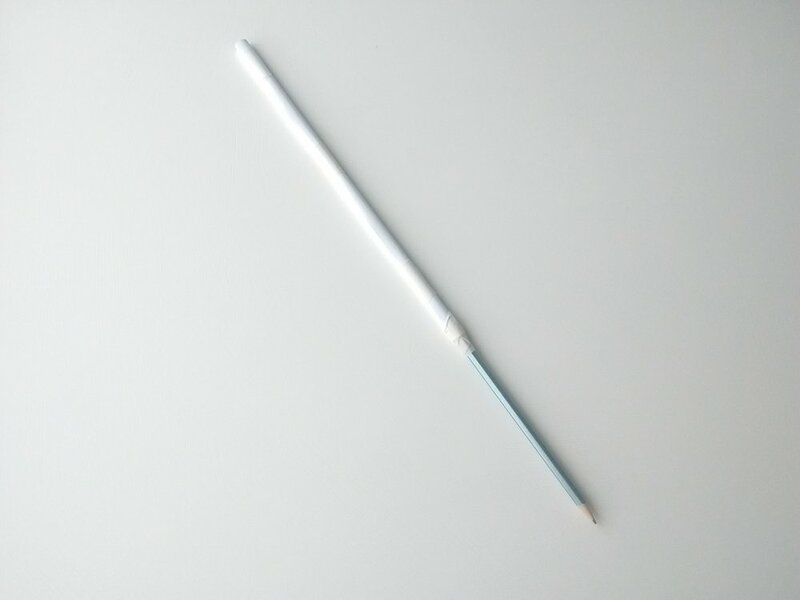 Carefully push the top quarter of the pencil into the end of your paper rod. Secure it with the masking tape. 3. Lay one pipe cleaner on top of the other to make a cross. Twist the pipe cleaners together, keeping them in a cross shape. 4. Bring the ends of the pipe cleaners together to form an ‘orb’. Twist the four ends together. 5. Into the other end of the rod carefully push the ends of the ‘orb’. 6. Gently scrunch up an A5 piece of tissue paper and place it inside the ‘orb’. Very carefully stick sequins onto the tissue paper or pipe cleaners to decorate the ‘orb’. 8. To spray the sceptre, a grown-up should follow the instructions on the side of the spray can and use the spray in a well ventilated place. If you do not want the ‘orb’ to be golden remove it while spraying the sceptre.